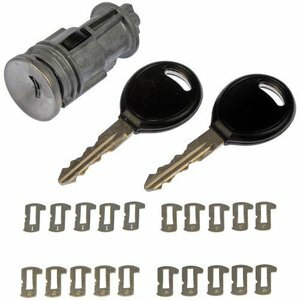 Dorman Ignition Lock Cylinders are part of the Ignition Lock Assembly. The purpose of the Ignition Lock Cylinder is to provide a level of security that requires a coded metal Ignition Key in order for the vehicle Ignition Switch to be operated and energized, thereby allowing the vehicle to be started and operated. Failure is due to wear and tear from continual key rotation.